A Honduran court has convicted seven men in the murder of indigenous rights activist Berta Cáceres in 2016. Until her death on March 2, 2016, Cáceres had been leading a fierce campaign against the Agua Zarca dam in western Honduras, a joint project between the Honduran company Desarrollos Energéticos SA (DESA) and Chinese-owned Sinohydro. The dam was being built on the Gualcarque River without consultation with the Lenca indigenous community that depends on the river for their food and water. 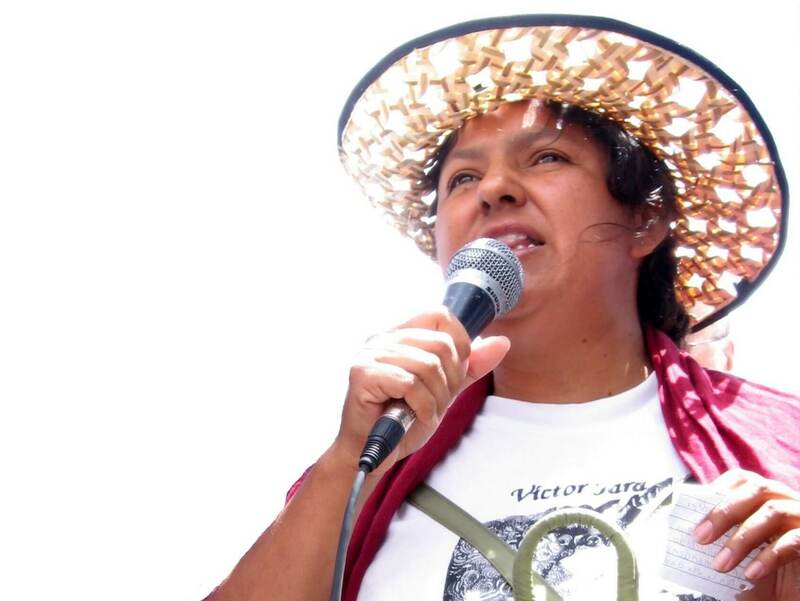 Cáceres, who won the prestigious Goldman Environmental Prize in 2015, had received numerous threats for her activism against the dam before she was killed by gunmen at her home in the city of La Esperanza. Mexican environmentalist Gustavo Castro was also shot, but he survived the attack. Those found guilty of her murder are Sergio Ramón Rodríguez Orellana, manager of DESA; Douglas Geovanny Bustillo, a former soldier and ex-security chief of DESA; Mariano Díaz Chávez, an army major; Henry Javier Hernández; Edwin Rapalo; Edilson Duarte Meza; and Oscar Torres. An eighth defendant, Emerson Duarte, accused of covering up the crime, was acquitted. To date, nine people have been arrested in connection with Cáceres’s murder. David Castillo Mejía, executive president of DESA, was charged with being the mastermind of the murder in March this year. He will face a separate trial. Cáceres’s family, along with Gustavo Castro; COPINH, the organization that Cáceres led; and their legal teams have released a statement saying the verdict does not satisfy their demands for justice. “Condemning the group of hitmen and their intermediate structure related directly to the DESA corporation does not mean that justice has been obtained,” the statement says. “The structures and people who gave the money for these criminals to assassinate Berta Cáceres are still free and able to continue carrying out crimes like this one with impunity. This article was originally published by Mongabay. It has been re-published at IC under a Creative Commons License.